This was sent to me from a anonymous user. Use at your own risk. Posted for entertainment value only. After about an hour playing around with this, I finally got some results, I have been able to capture the packet which gives you the item and EXP reward when you hand in a repeatable levequest for a crafting class. Please note that this is simply me sharing my findings and may be easily traceable / bannable, I have no knowledge of packets or the dangers of using them, use at your own risk. 1) Install WPE Pro, download this from Google, you may need to disable your anti virus for this to run correctly. 2) In WPE Pro, go to View – Options – Winsock 1.0, untick all boxes apart from Send. 3) Obtain a levequest for a discipline of the hand which requires more than one item to be handed into the NPC so it works with multiple turn ins, for example: “Party Animals”, a level 40 Weaver levequest in Ul’dah that requires Linen Deerstalkers. 4) Gather double the materials to hand in as you will need to complete the same leve again with the additional order. 5) Hand in the leve and when asked if you wish to submit an additional order, click yes. 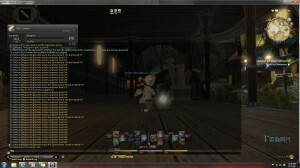 6) When you are prompted to hand over the additional order’s items, go into WPE Pro, open FFXIV. 7) Press the run button in WPE Pro. Confirm the hand in of items for the levequest, click through the text until you see the EXP gained. 9) Press the stop button in WPE Pro. 10) You will now have a few send packets in WPE Pro, one of these contains the data to receive your EXP and items, Mine was a 80 size packet which was the second recorded. 11) Right click the packet, click Send. 12) Press the start button when inside the packet to send the packet again (Note that no information has been changed in the packet at this point, any timestamps will be sent). 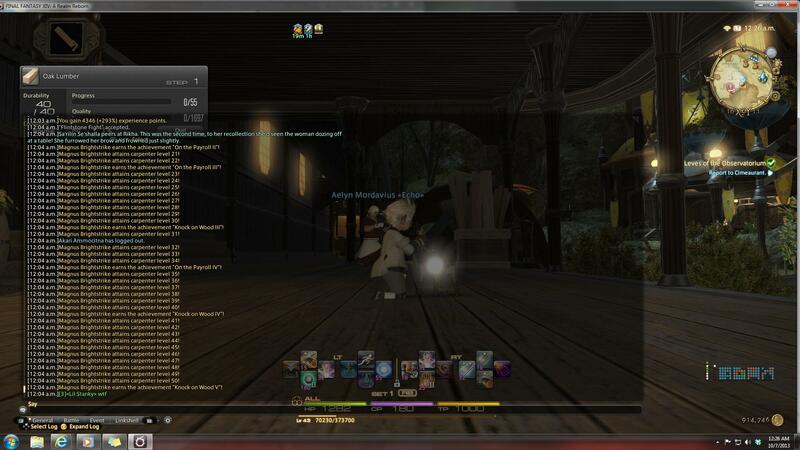 13) Check FFXIV and see if you gained the EXP and items, if so; congratulations, you have duped your first levequest. If not, try sending the other send packets. Edit: You can send the packet as many times as you like…but I would be cautious around doing this too quickly or in a crowded area, I have been sitting in Ul’dah sending the packet 5-6 times every 10 minutes so it doesn’t look too obvious.